A jazz-rock group from Pinerolo, near Turin, Dedalus released two albums for the collectable Trident label before disappearing, and also had a good live activity despite being very far from the most important Italian rock groups of the time. After their live show at Naples' Festival di Avanguardia e Nuove Tendenze in 1973, they were described by a popular journalist as the revelation of the festival. First album contained a personal blend of jazz-rock, with some Soft Machine influences and all instrumental, with lead parts of sax, cello, electric piano and guitar. The second, Materiale per tre esecutori e nastro magnetico, with the group now as a trio after the departure of bassist Furio Di Castri for a stable career as jazz upright bass player, was more avantgarde-oriented with stronger use of electronics. 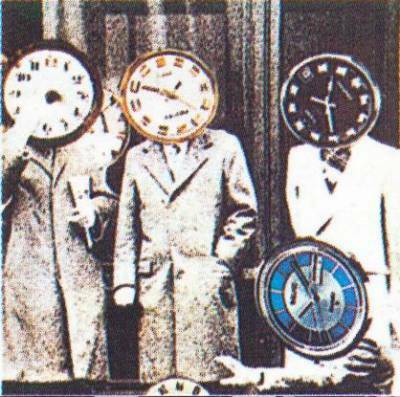 Dedalus kept on as a duo in 1977, when drummer Enrico Grosso left, and collaborated with jazz musicians such as Steve Lacy, but the band had a definitive split in 1979. A reunion was decided in 1990, with the same line-up that had released the second album, but various musicians came and went in the following years and an album, Pia visione, was released in 1997. 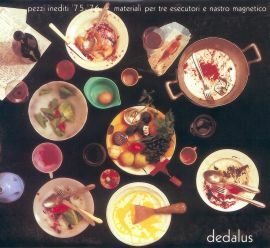 This CD, only issued in a limited private pressing, features Fiorenzo Bonansone, Marco Di Castri and bassist Domenico Sciaino, and is the first in the Dedalus production to have a strong use of vocal parts (little used on Materiale per tre esecutori e nastro magnetico only), including the reworking of some traditional songs to add an odd folk taste to the already extremely original mix of influences. Since 2000 Fiorenzo Bonansone has formed a new group, called Bonansone Dedalus Group, with the intention of reviving the spirit of the original Dedalus but with a new minimalist approach. The first album by the new group has been released in 2004 by BTF/Vinyl Magic, and also includes reworkings of some tracks already released on Pia visione. 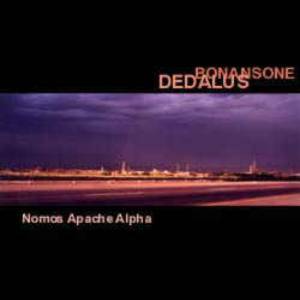 In the same way as that previous album, and much different from earlier Trident works, Nomos Apache Alpha is a fascinating work strongly based on cello and flute, that give it a strong classical and chamber music feel. The line-up on the CD includes, along with Bonansone, Anita Cravero on flute, Riccardo Chiriotto on bass trombone and Michele Kathak Strocchi on drums and percussion. The complete Dedalus production was collected in the compilation box set Le ricordanze, issued in 2017 and also containing a nice book with photos, information and intervews. 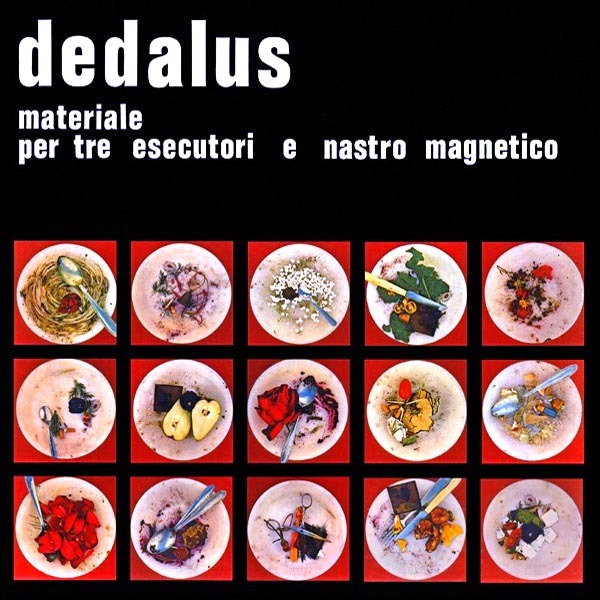 The group has not to be confused with another Dedalus (also known as Collettivo Dedalus), a group from Calabria that has privately released two albums in 1990-91, Singolarefemminile and La terra delle ginestre mixing traditional Southern Italy folk tunes with jazz. Both Dedalus albums are very rare, though not particularly collected by prog fans. It's likely that they have been counterfeited like the rest of the Trident production, see Trident's page for details. The first LP has been officially reissued on vinyl for the first time in 2012 by AMS, in black or in a limited pressing of 100 blue vinyl copies, the second one was reissued by the same label in 2014. No foreign issues exist on vinyl. Both the Trident albums have been reissued on CD by the Japanese Arcangelo label with mini-LP cover. The first album was also issued in 8-track cartridge version on Trident with number TRE 1001. 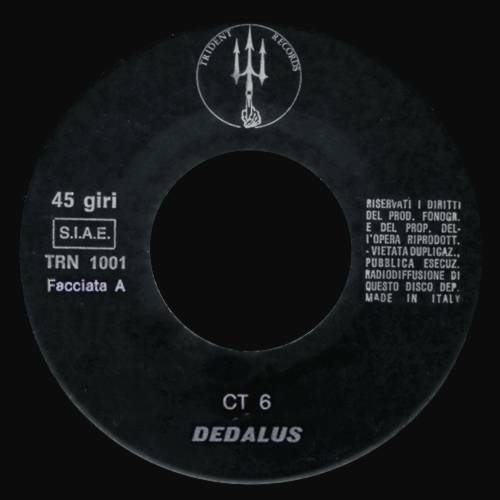 A real rarity on the production of Dedalus and the Trident label is the single with two excerpts from their first LP, CT 6 and Brilla, which was probably only issued in promotional form and with blank cover. 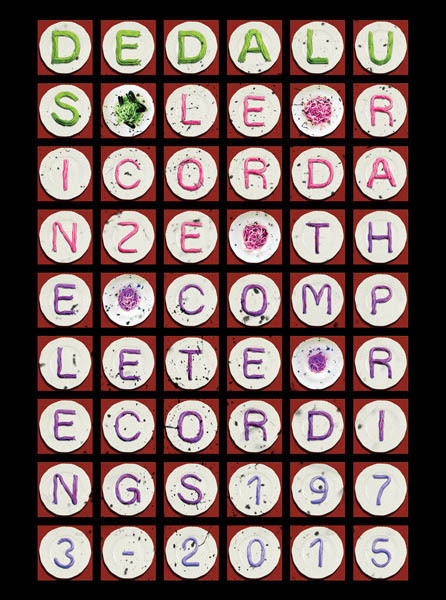 The 2017 box set Le ricordanze contains the entire Dedalus production from 1973 to 2015, with the two Trident LP's from 1973 and 1974, the rare CD-only Pia visione and Pezzi inediti 75-76 and other unreleased studio and live recordings. A website dedicated to Dedalus can be seen at http://www.dedalus-group.com/. This also includes information on the production and activity of the current line-up. Thanks to Fiorenzo Bonansone for the material on current Dedalus activity.